This thread will be an attempt to compile all known merchandise (game variants and versions, clothing, collectibles etc;). Hopefully in the end it will be useful for collectors. Community help would be greatly appreciated. Pictures of collections are also welcomed and encouraged! This isn’t complete by any means. I’ll update it with more content as I find it. Please post more and I’ll add them here. 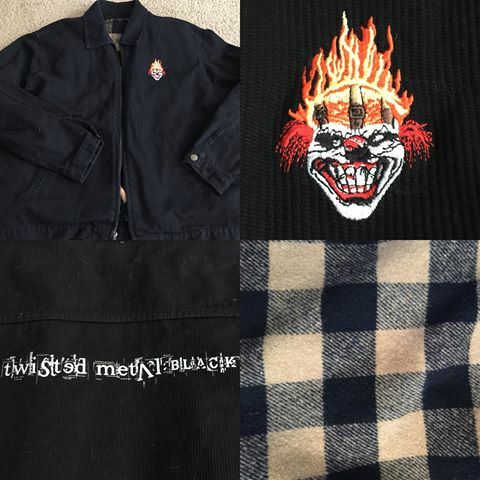 Will update each item with pictures eventually. Update: I’m working on the list and have found a lot of new items. I’m going to have to find a new platform to update the list. Didn’t take into consideration how short the edit period is on TMA. Will likely post on the Twisted Metal subreddit and link to it. Here is the eBay Link. Very expensive. Price set at $1500. I'm not sure how many of these there are or what the normal selling price is. VERY RARE official Sony PlayStation promotional item! 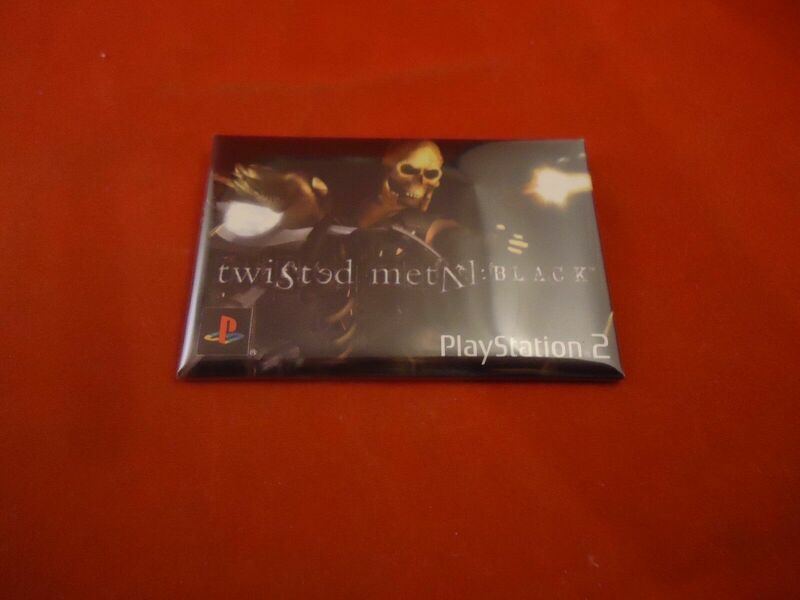 This incredibly cool kit was produced by Sony to promote the launch of Twisted Metal 2. Very few of these were produced, and none were ever made available to the public. They were only sent to retailers and select members of the entertainment media. The box measures 10” x 10” x 3”. The box is tied with a black ribbon. When you open it, Sweet Tooth’s head pops out at you. Then you open the inner lid to reveal a brochure and a video tape labeled “Twisted Metal 2 Sony PlayStation Launch Video September 1996.” The videotape has never been played. The brochure is a beautifully designed tri-fold piece with a flaming Eiffel Tower that pops up when you open it. Unconfirmed origin. If I had to guess I would assume it is from Walmart or another chain store that would be given to employees to wear. A lot of games did this from the SNES - Playstation 2 era. As of 3/21/19 here are 3 listings on Amazon for $800+. I saw another page on Amazon for it, having the prices hover around $600+. There is one on eBay for $800+ in Acceptable condition and Rakuten is selling it for $1000+ in Acceptable condition. The guide didnt release THAT late into the PS1’s lifetime. Still a couple years before the last game released. Revelations: Persona’s guide is only $100-200 and it is one of the more expensive PS1 RPGs. Unless TM4s guide just sold that abysmally. TM3s guide is readily available and cheap. I actually downloaded the PSX rom of that TM3 demo. You just play as Firestarter against one CPU in Hollywood, and that's it. Thus an example of the phrase "Leave 'em begging for more."